The LeBow College of Business is committed to the value of inclusion. We strive to treat everyone with respect and without bias. As an institution of higher learning, we promote a free exchange of ideas. We believe that embracing differences in others is a way to enrich our lives. In an effort to support Drexel University’s initiatives in fostering understanding, respect and opportunity for a better University, the LeBow College of Business has developed five platforms or areas of focus to intentionally infuse diversity and inclusion into the work that we do. LeBow has identified key institutional resources available to students, faculty and professional staff dedicated to enhancing diversity and inclusion within and around our community. Pressure Points will embrace dialogue among institutional stakeholders that will drive activism and educational innovation from multiple perspectives. Student Voices will provide the model for relations within our community by championing diversity and inclusion ideologies within student organizations. Case Competitions allow LeBow students to think strategically about real-world problems while networking with industry leaders. LeBow enhances the development of faculty and professional staff through awareness, training and conferences supported by the Center for Teaching Excellence and administrative areas. 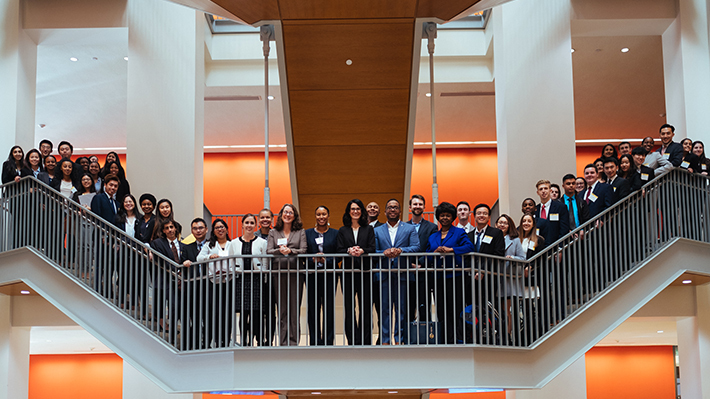 Drexel LeBow hosted students from several local universities as they competed in the second annual Diversity and Inclusion Business Case Competition. Apply to give a TED Talk at TEDxLeBow!